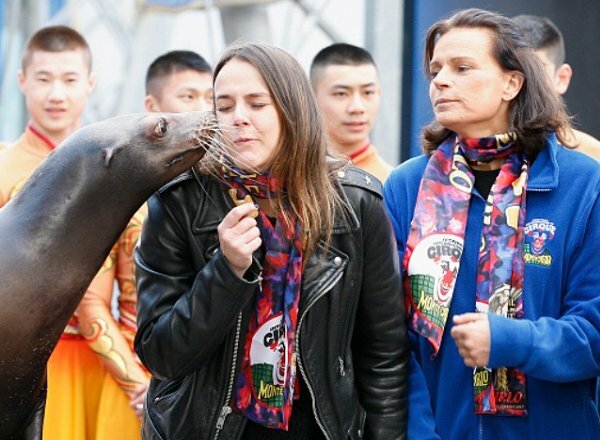 Princess Stephanie of Monaco and her daughter Pauline Ducruet attended the 41th International Circus Festival on January 17, 2017 in Monte-Carlo, Monaco. Love the seal - especially in the second photo. What a look of disdain! Did you notice you can access more photos by the arrows on photo #2? Move your cursor to the photo and they appear. Yes, I realized that! More seal photos, lol! I prefer seals with the fur on. Smart creatures. It Is not a seal,it's à sea-lion .ce n'est pas un phoque c'est une jolie petite otarie . Not so much difference, seals and seal- lions are cousins. Free the seal/sea lion! It looks like it is suffering! !